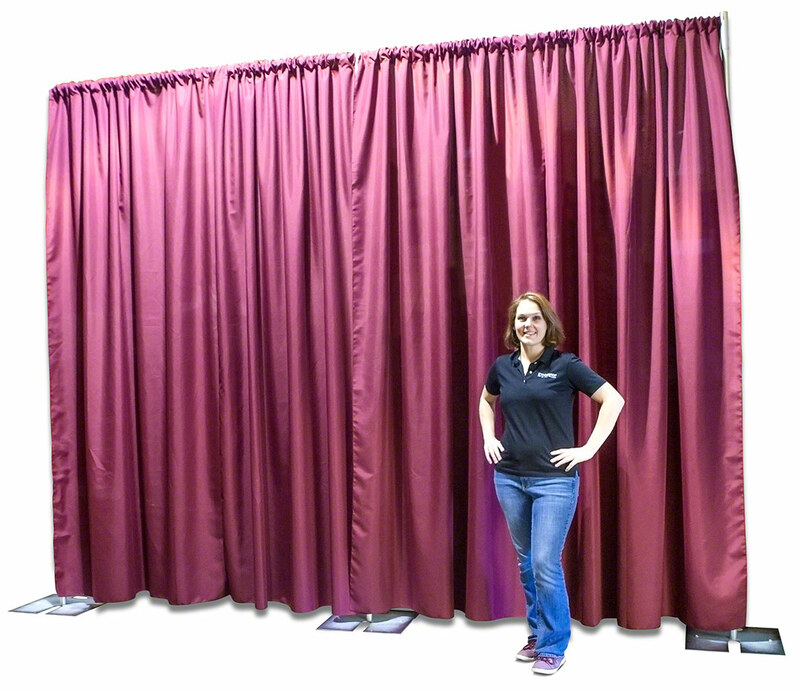 Introducing FlexDrape ... a complete solution for creating adjustable fabric wall backdrops. Includes adjustable aluminum frame and poly drapes. Available in 8-foot or 10-foot heights - choose from 20 colors. Need help? Please call us at 1-800-887-8243 for fast service.